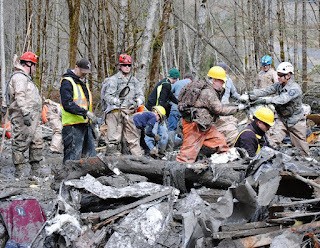 The Oso Landslide of March 2014 killed 43 people, destroyed 49 homes, caused millions of dollars in damage, and dammed the North Fork of the Stillaguamish River. When a second fatal landslide at Grand Mesa, Colorado, followed on the heels of Oso, waves of consternation rippled across the U.S reigniting concerns about the sudden and catastrophic collapse of unstable ground. As natural hazards go, landslides receive a fraction of the media attention that accompanies floods, earthquakes, severe weather, and wildfires. Why? Because unlike other natural hazards with large, even regional, areal footprints, landslides are local events. But across the U.S., landslides annually rival floods for damages and deaths; between 25 and 50 fatalities are reported annually and damages are in the neighborhood of $3 billion dollars. Addressing landslides nationally. Two years after Oso, Congresswoman Susan Delbene (D-WA) introduced the National Landslide Loss Reduction Act (H.R. 4776) to establish the National Landslide Hazards Reduction Program through the US Geological Survey. 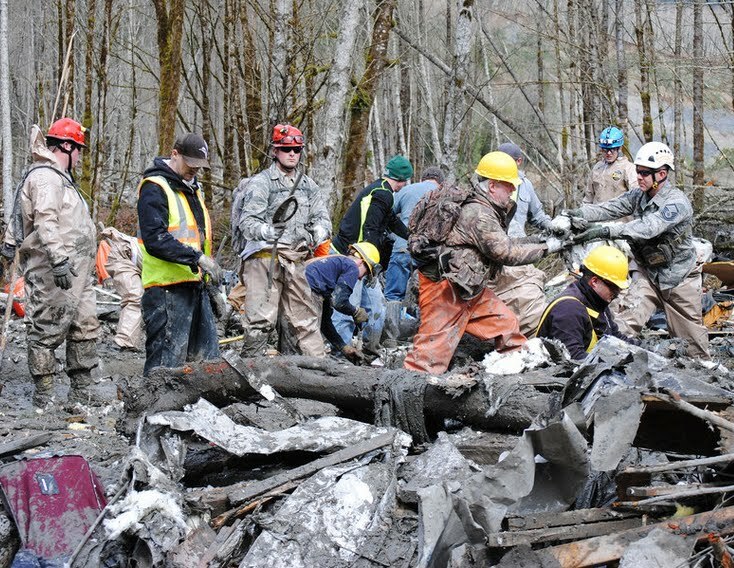 In introducing the bill, Representative DelBene said, “lawmakers need to do more to ensure we fund resources and research efforts to prevent future natural disasters from becoming national tragedies”. Co-sponsors of H.R. 4776 included Arizona Representatives Ann Kirkpatrick and Raul Grijalva. On 27 March 2016, H.R. 4776 was referred to the Subcommittee on Energy and Mineral Resources. Unfortunately, the National Landslide Loss Reduction Act died in committee. But on 22 March 2017, Rep. Susan DelBene introduced a similar bill, the National Landslide Preparedness Act (H.R. 1675) before the House. On that same day, Senators Maria Cantwell (D-WA) and Lisa Murkowski (R-AK) introduced an identical bill, S.698, before the Senate. The National Landslide Preparation Act (S.698 and H.R. 1675), covers much of the same ground as the earlier bill and directs the USGS to provide grants to states, local, and tribal governments to study landslide hazards. Both bills are currently in committee: H.R. 1675 – Natural Resources, Science, Space, and Technology Committee; S.698 – Committee on Commerce, Science, and Transportation. We’ll keep you informed as the bills wind their way through the U.S. House and Senate.